The Goods and Services Tax Council has approved a simplified system for filing tax returns in its 27th meeting. The GST Council Meeting was chaired by the Union Finance Minister Arun Jaitley who announced the new and simplified return filing process. The new scheme will come into effect after almost a year. Till then the existing system of GSTR-3B and GSTR-1 will continue. It was approved based on recommendations of Group of Ministers on IT simplification for GST implementation. The council also decided to change the ownership structure of the GST Network. GST Network is a not-for-profit firm in which the central and state governments hold a 49% stake. 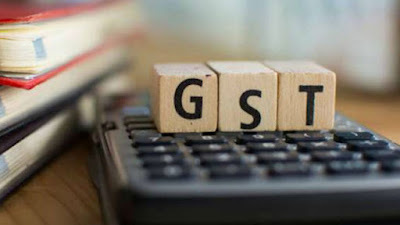 GST Council decided that central and state governments would acquire the remaining 51% stake in the GST Network amounting to Rs 5.1 crore, which is presently owned by private parties. This would make the GST Network a fully government-owned company. Taxpayer will be given user-friendly IT interface and offline IT tool to upload the invoices. Seller will upload unidirectional flow of invoices on anytime basis during the month. On non-payment of tax by the seller, there will be no automatic reversal of input tax credit from buyer. Question 2. Who is the head of the GST Council? Question 3. Which constitutional amendment was done to pass the GST Bill in India? Question 4. Where are the Headquarters of the GST Council located? Question 6. What is the full form of IGST?